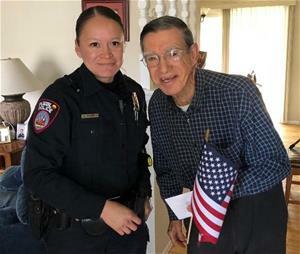 On Thursday, November 8th, members of the Pueblo City Police Department who most are Veterans themselves, visited with home bound Veterans on the Meals on Wheels Program. 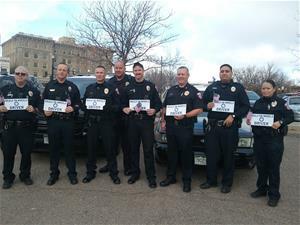 The police placed flags donated by the Pueblo West Safeway in the Veteran’s yards, gave them cards donated by My Friend the Printer and saluted each Veteran to thank them for their service. and all the persons who helped make the day special for them. 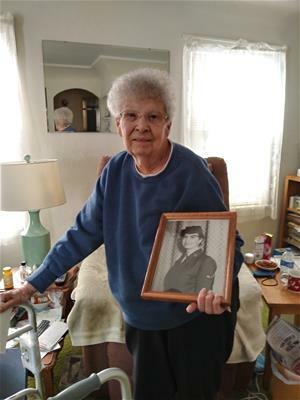 Geraldine Martino and a picture of her in the Air Force.